Think of a tire. If you don't roll it straight, it wobbles around or falls flat. We applied the same physics to a golf ball to create a training tool with major feedback. Our two-piece molded design distributes weight evenly for an honest roll. It's not just a putting tool. 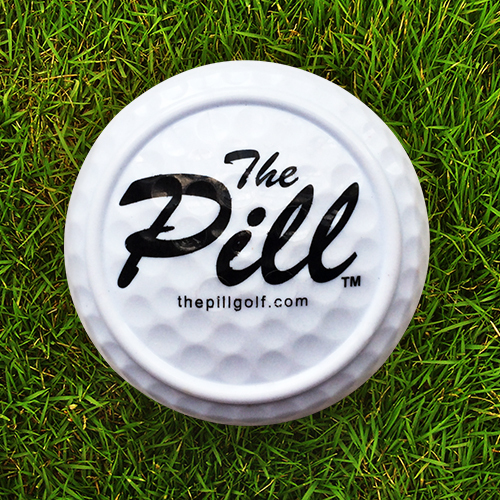 Like the highest quality golf balls on the market, The Pill is produced with a Surlyn® cover to withstand even your strongest swing. Learn how to use The Pill to improve your game. Hear what top golf writers are saying about us. Select the training set that fits your golf game.